Adam Gillick is originally from Illinois. Adam moved to Arizona in 2005 to attend Arizona State University. Adam holds a Masters Degree in Educational Leadership. The original plan was for Adam to become a school administrator. The skills Adam learned in the classroom has really allowed him to educate his clients on the buying and selling process. He will walk his clients through the process and be there to educate his clients as they go forward. Adam started in the real estate industry by investing in his own personal properties. What started as a hobby turned into Adam realizing his passion for the industry. 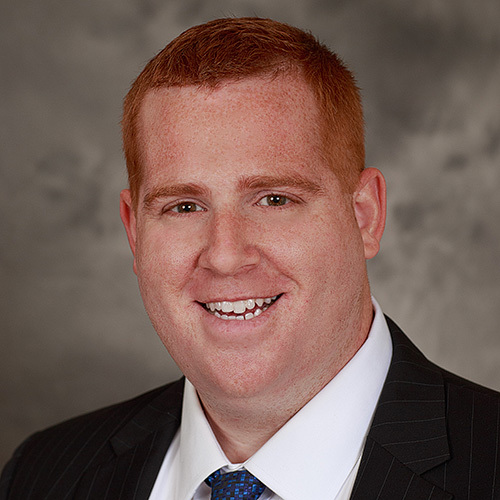 Since 2011, Adam has been working investing in the Arizona market. In 2014 is when Adam decided to get licensed and start working his real estate business. Since 2014, Adam has been in the top 2% of agent in Maricopa County. He was rookie of the year in his last brokerage and was recognized as one of the top 40 agents under 40 years of age in the Southeast Valley. If you are looking for an agent to go the extra mile call Adam today. We are very pleased to have Adam Gillick as our agent! He was honest and he really made us trust him as he guided us to find our new home. He demonstrated great knowledge with the properties, locations, and great schools districts that we liked. His level of responsiveness was exemplary as he was always within reach anytime of the day even though we are several time zones apart! I could see that real estate is his passion and not just a job. Without him, finding this lovely house in this wonderful community would not even be possible. Thank you, Adam! I highly recommend him and will definitely have him again as my agent! I contacted Adam over a year ago for the first time. Told him I wanted to relocate to Arizona but wasn't sure when. he said take my time he was patient. HE WAS. He was so helpful with all the knowledge of the areas and school districts. He gave me referrals for everything from carpet layers to pool maintenance. He knows it all. I VERY HIGHLY RECOMMEND THIS MAN...Thanks Adam for everything. Adam helped us successfully sell and purchase an incredible find in Sun Lakes AZ. He was, very flexible, and prompt to respond to our questions, even as inexperienced buyers, as we are we had a lot to ask. He’s very personable, competent and confident person and he seemed very comfortable with us as we were with him. We were prepared for a long search, but unexpectedly came across our new home after viewing just a few others. Adam assisted with great advice as far as our offer went and was very knowledgeable about what would make our offer stand out in an extremely challenging market. He helped us view the place several times, get it pre-inspected, and put the offer together. This, as I said earlier was our first home buying experience, and Adam made it as anxiety- free as possible. Thank you ,Adam for making our new adventure for us so rewarding.